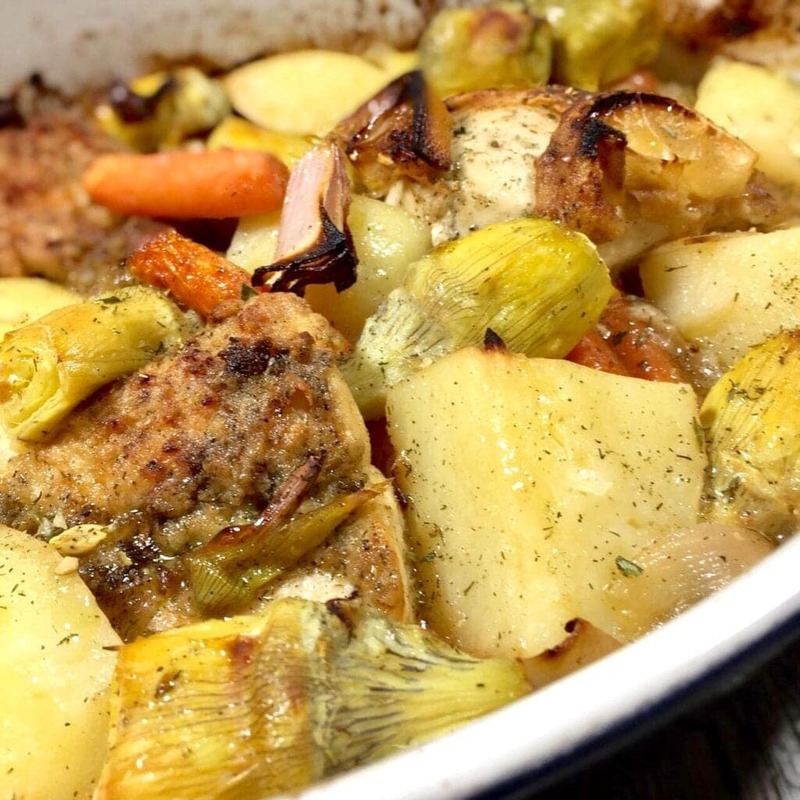 This Roasted Lemon Chicken is packed with healthy vegetables like artichokes, carrots, potatoes, and shallots all in a rich lemon herb sauce. 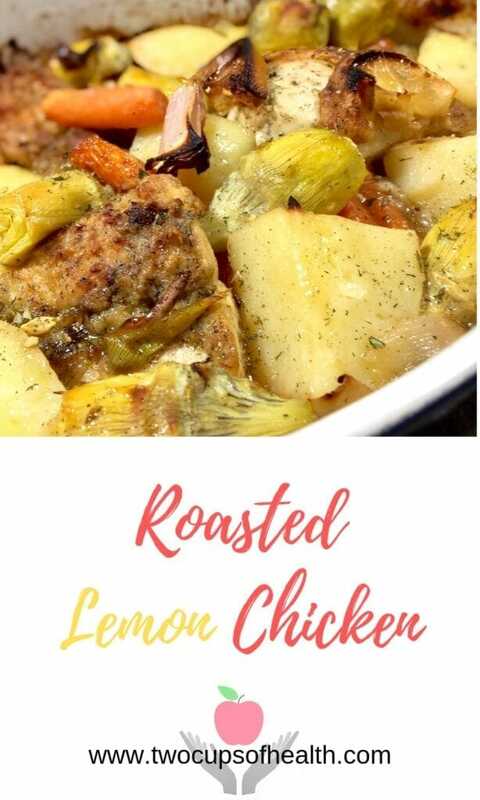 I really love this variation of Roasted Lemon Chicken because it’s truly a one pan healthy meal in all its deliciousness. Ina Garten is really one of my favorite cooks. Most of us have seen her shows on the Food Network and she spotlights Lemon Chicken a lot. In fact, Lemon Chicken is one of her husband, Jeffrey’s favorite dishes. So with Ina as an inspiration, I created Roasted Lemon Chicken my way. And I have variations of this recipe like my Mediterranean Lemon Butter Chicken, where it includes olives and artichokes. But I thought this time I would make it a more complete meal with the addition of carrots and potatoes. And this time I wanted to add in the brined artichoke water and also add in a bit more herbs. 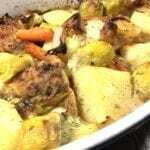 The result was tender, moist chicken with rich herby vegetables. Skinless chicken is healthier, for sure, but it does have the disadvantage of not being able to brown properly so I like to give it a bit of crust to start it out. Then salt and pepper both sides of the chicken. Next, add a drizzle of olive oil to each side, then lightly dredge the chicken in flour. I use Wondra almost exclusively because it’s finer and you don’t use as much as regular flour. Just a light coating works fine. Then just add olive oil to a frypan over medium high heat and add the chicken. Cook until it’s lightly browned, about 2 minutes and then turn over and cook 2 more minutes. Next spray a large baking dish with oil and arrange chicken, potatoes, 2 lemon quarters, carrots and artichokes evenly in the pan.. 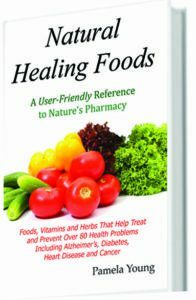 In a bowl whisk the juice of the remaining lemon half, chicken broth, the brining water from the artichoke can, rosemary, fennel and sage and drizzle the mixture evenly over the chicken and vegetables. Finally, place in the pan in the preheated oven and roast uncovered for 35-40 minutes until the chicken and potatoes are fully cooked. Potatoes will be tender and the chicken should register 165 degrees on a meat thermometer. Salt and pepper both sides of chicken. Then lightly dredge in flour. Add olive oil to frypan over medium high heat, then when hot add the chicken and cook until lightly browned - about 2 minutes. Turn over and cook 2 more minutes. 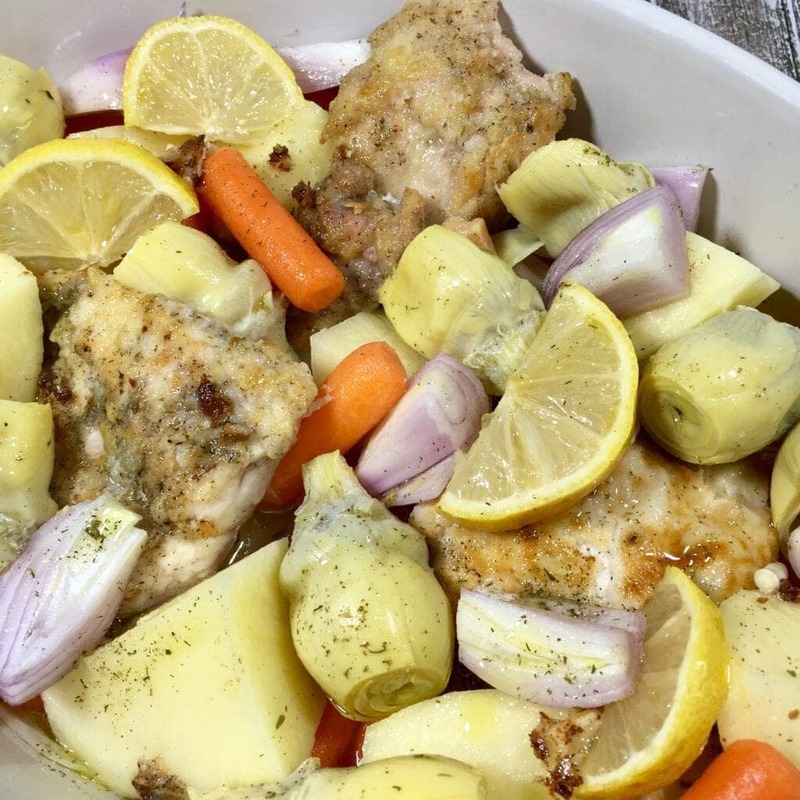 Spray a large baking dish with oil and arrange chicken, potatoes, 2 lemon quarters, carrots and artichoke hearts evenly in the pan. 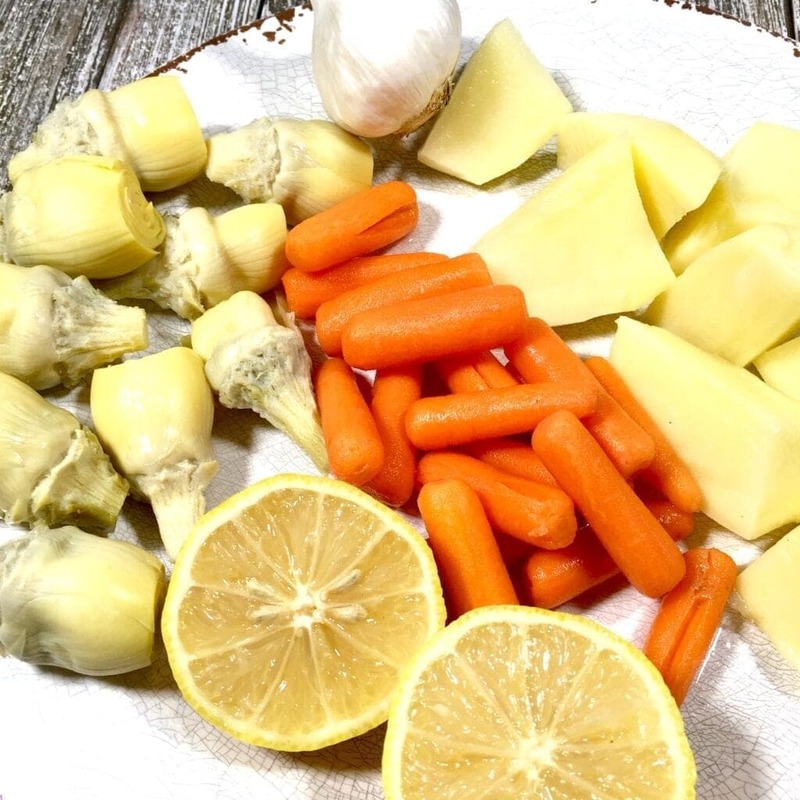 In a bowl whisk the juice of the remain half of the lemon, chicken broth, the reserved brine from the artichokes, thyme, rosemary, fennel and sage and pour the mixture over the chicken and vegetables. Bake uncovered for 35 - 40 minutes until the chicken and the potatoes are fully cooked. Potatoes will be tender and the chicken will register 165 on a meat thermometer. 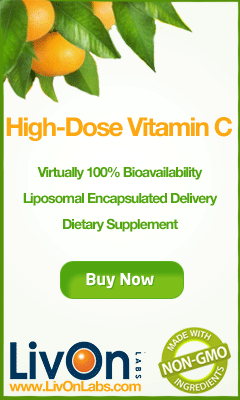 If you liked this recipe, please leave a comment below and be sure and pin this on Pinterest!